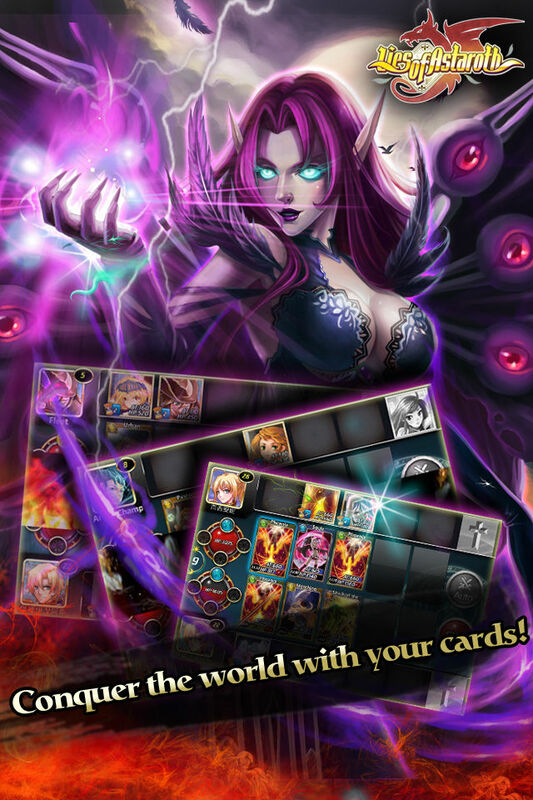 Lies of Astaroth is a free-to-play and highly addictive epic fantasy MMORPG card-battle hybrid! 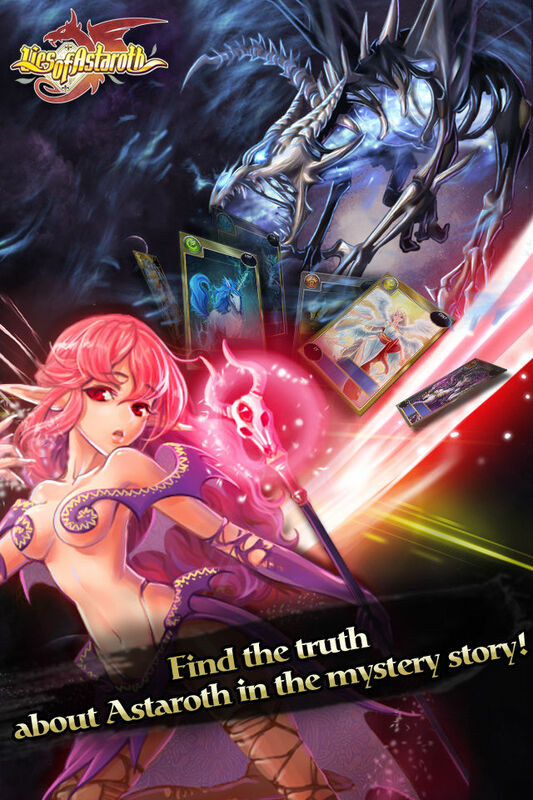 If you only had one word to describe Lies of Astaroth, it would be “Magical”. 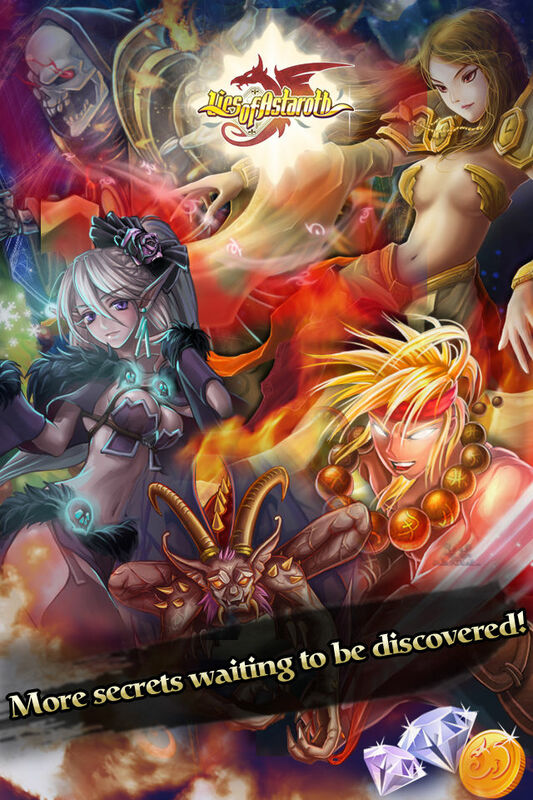 --"Placed in a fantasy world, this resplendent game is sure to make you lose yourself in the mystery! " 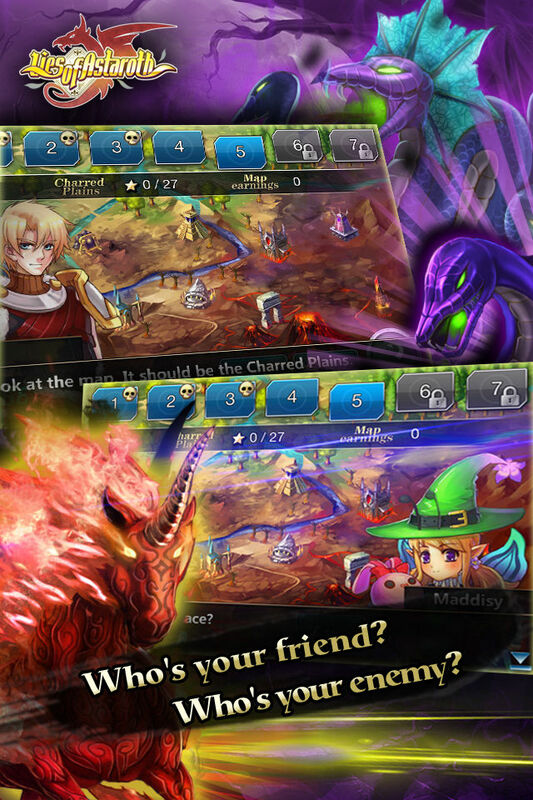 --"The fantastic story line, constantly evolving decks and the use of separate card classes all combine to create beautiful and fun fantasy world. A magical journey you won’t soon forget." With more than 100 beautifully drawn characters and dazzling battle effects, you’re certain to find it visually pleasing. Lies of Astaroth places you in a world filled with mystery and fantasy. As soon as you push the door open, an envoy of the God of Prophecy will lead you through a world of maps and levels to help you try conquer all of them. Fighting is the heart of this game. 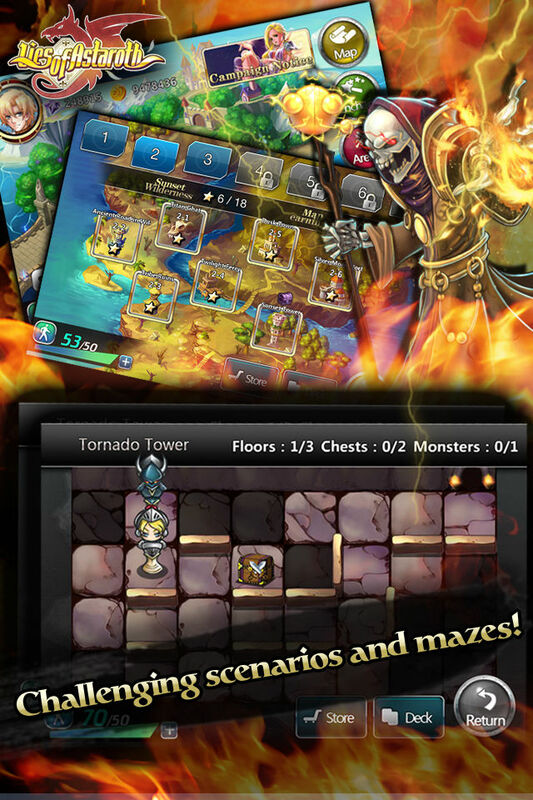 Sure to make you feel differently about mobile card-battle games. The character classes, Runes and skills make this game easy to learn, but difficult to master! Put your deck to the test in the Arena to see where you Rank in the world. Discover the hidden treasures and band together with friends to destroy Thieves. In the future you’ll also be able to work together to eliminate the world Boss! Not everything is about power, Lies of Astaroth requires quick wit and careful planning. What you accomplish will only be limited by your desire and determination! Do not miss out on this adventure!! !